They say big things come in small packages, and that's evident with the small satellites that are becoming ubiquitous around NASA centers, university labs and even elementary school science classes. These tiny satellites are relatively inexpensive, which makes space-borne research accessible to more people today than has been possible in the past. NASA is focused on its journey to Mars, and these small satellites are helping us develop the miniaturized technologies needed to reduce unnecessary weight and space aboard crewed spacecraft that could be used for research, life support and other things astronauts will need as they travel to the Red Planet. Closer to home, the technologies developed to work on satellites ranging in size from a refrigerator to a box of tissues could radically change the way we predict weather, provide Internet and television programming and cellular reception. Across the agency, we are giving academic researchers, citizen engineers, scientists and CubeSat developers the opportunity to see their research performed in low-Earth orbit and beyond. NASA is also providing them with access to a low-cost pathway to conduct research in the areas of science, exploration, technology development, education or operations consistent with the agency's Strategic Plan. The Small Spacecraft Technology Program (SSTP) in the Space Technology Mission Directorate (STMD) matures and tests new technologies aboard smallsats. Also managed by STMD is our CubeQuest Challenge, which challenges competitors to create small satellites capable of advanced communications and propulsion near and beyond the moon. 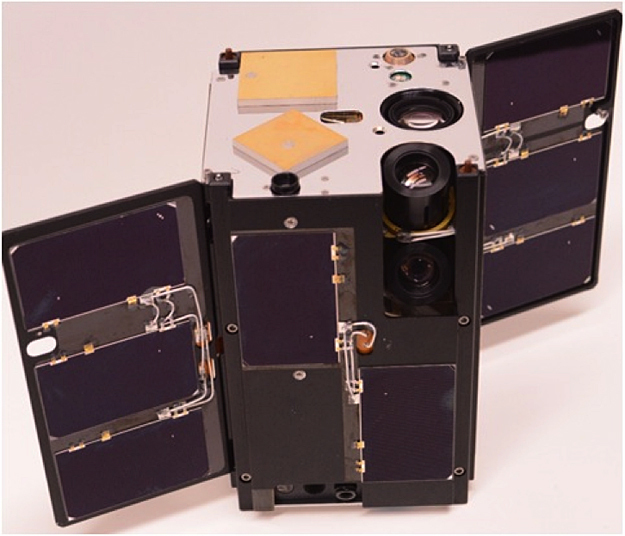 The NASA CubeSat Launch Initiative (CSLI), which resides in the Human Exploration and Operations Mission Directorate works to place small satellites as auxiliary payloads on already scheduled launches. 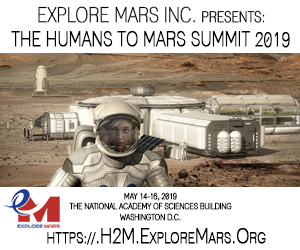 These and other programs at NASA provide an opportunity to engage the public, the commercial sector and the academic community and promote the small spacecraft approach as a paradigm shift for NASA and the larger space community. 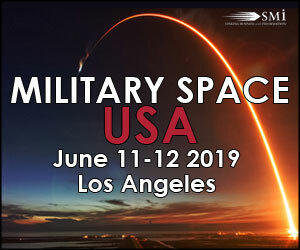 SSTP develops and demonstrates new technologies that extend the abilities of small spacecraft and their use for performing high-value science, furthering exploration goals and offering new approaches for space operations. This program offers a diversified portfolio of technology-development projects across the NASA centers; manages collaborations between the agency, universities and industry; and supports NASA's initiatives to develop early career technologists and their projects. Beginning as soon as late September, SSTP will launch the first CubeSat in a series of six launches. CubeSats are a class of small spacecraft that use a standard size and form. 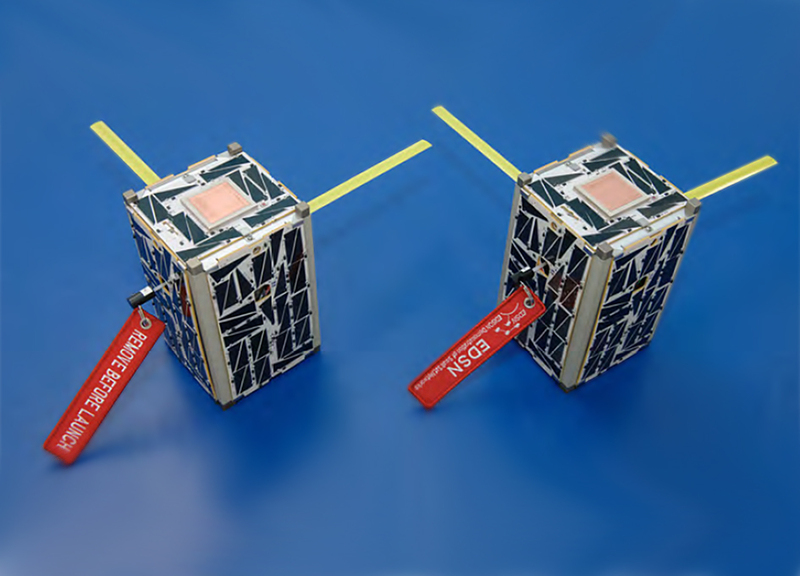 The standard CubeSat size measures 10 cm x 10 cm x 10 cm (about 4 inches x 4 inches x 4 inches) and is extendable to larger sizes by "stacking" a number of the blocks to form other size spacecraft. Sixteen CubeSats will be launched between late 2015 and early 2016 as individual satellites or as part of a swarm of satellites all working together. 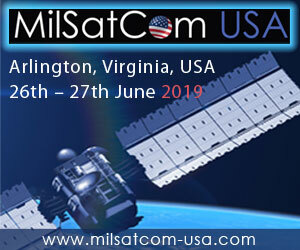 The Space Technology Mission Directorate's Optical Communications and Sensor Demonstration will demonstrate a miniature laser communication systema first, for a CubeSat. The first launch in September, the Optical Communications and Sensor Demonstration, will demonstrate a miniature laser communication systema first, for a CubeSat. Successive launches over the next six months will demonstrate communications, proximity operations and docking, and navigation and control. These launches are the culmination of continued investment for innovative technologies that expand the versatility and functionality of CubeSats, such as how to create a robust platform to demonstrate next-generation technologies. Fulfilling its charter to develop and optimize technologies meant for CubeSats, SSTP has advanced the capabilities of this class of satellite for NASA use. The program also has poised the agency to infuse technologies for important subsystems such as communications, propulsion, pointing, power and autonomous operations into industry, continuing to advance the state-of-the-art in this "coming of age" platform. NASA's $5 million Cube Quest Challenge is also underway, giving competitors a shot at the agency's largest-ever prize purse and a chance to earn a spot for their CubeSat as a secondary payload on a deep space mission. To succeed, teams must design, build and deliver flight-qualified, small satellites capable of advanced communications and propulsion near and beyond the moon. The three-staged competition includes ground tournaments, the Deep Space Derby, and the Lunar Derby. Ground tournaments are scheduled every six months, serving as design and technical checkpoints where teams present their progress to a panel of judges. The first of these, held in August, attracted 13 teams. After the tournaments conclude, the Lunar Derby will focus on propulsion for small spacecraft and near-Earth communications. The Deep Space Derby will push teams to demonstrate communication and durability farther than 10 times the distance from Earth to the moon. 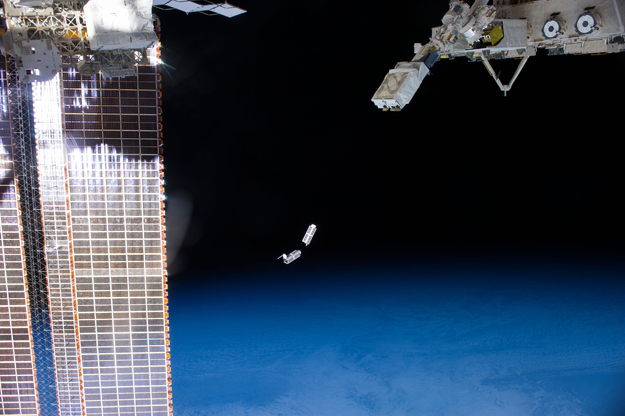 A set of NanoRacks CubeSats is photographed by an Expedition 38 crew member after deployment by the NanoRacks Launcher attached to the end of the Japanese robotic arm. Achieving the capabilities usually associated with larger spacecraft in the much smaller platform of CubeSats will be a significant step toward increasing the affordability of space missions, which in turn will dramatically increase science and research possibilities. Each year in early August, NASA releases an announcement of flight opportunity as part of CSLI. CSLI provides access to space for CubeSats developed by NASA centers, accredited educational organizations and non-profit organizations. These CubeSats are flown as auxiliary payloads on previously planned missions or deployed from the International Space Station. Since its inception in 2010, NASA has selected 105 CubeSats from 30 states, 37 of which have already been launched, with 16 more scheduled to go into space in the next 12 months. CSLI is currently accepting proposals through an Announcement of Opportunity. As we look to the future, NASA's Space Launch System (SLS), the rocket that will take us deeper into space than ever before, will be ready for launch from the agency's Kennedy Space Center in Florida in 2018. Traveling aboard that maiden voyage and planned for future missions, will be the capability to manifest secondary payloads including CubeSats, providing NASA and our partners a regular opportunity to place a large number of missions into deep space at a time. Currently, NASA has selected Lunar Flashlight, BioSentinel and Near-Earth Asteroid Scout to be on that historic flight. Through the Cube Quest Challenge, winners' technologies will also receive a ride aboard the SLS. NASA is on the vanguard in developing miniaturized technologies that transmit data, power and control small spacecraft, as well as providing launch opportunities for these mini satellites. Through the programs we have in place, we are leading the small spacecraft community and demonstrating regularly the giant potential wrapped up in a tiny package.